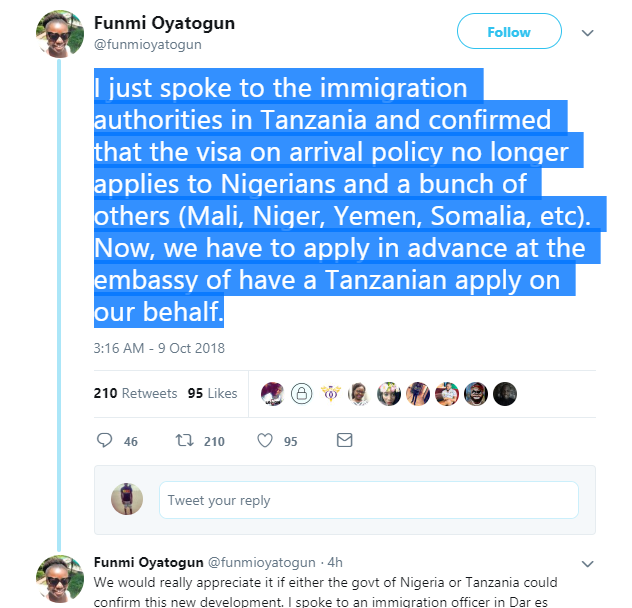 Nigerians are reportedly no longer eligible for visa on arrival in Tanzania, as disclosed by a Nigerian Twitter user @supersanusi. According to the Nigerian Twitter user, other countries too are affected by the recent development and any Nigerian who shows up without a visa will get deported. 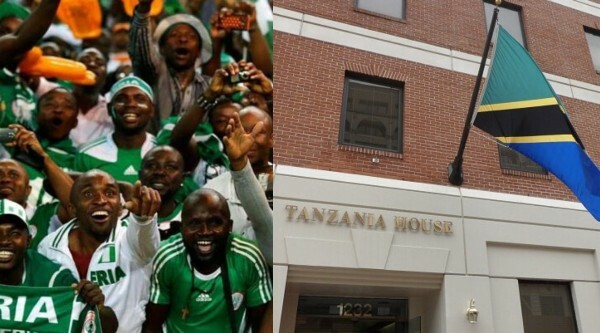 He further advised travelers to call the Tanzanian embassy to avoid embarrassment.